tpdnews: Robbery at Gunpoint. Do you know this person ? 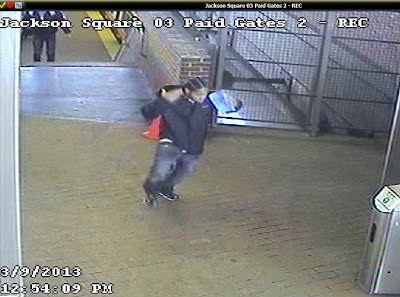 On Saturday, March 9, 2013 at approximately 12:50pm, an Orange Line passenger was robbed at gunpoint on the inbound platform at Jackson Square MBTA Station. The victim was robbed of his iPad4. The subject fled the station toward the Bromley Heath Housing Development. A black male with a light complexion, between 18 - 22 years of age, medium build, wide cornrows, slight facial hair, ear ring on the right ear. This subject was wearing gray stonewashed jeans, a black hooded sweatshirt, with a large white belt. 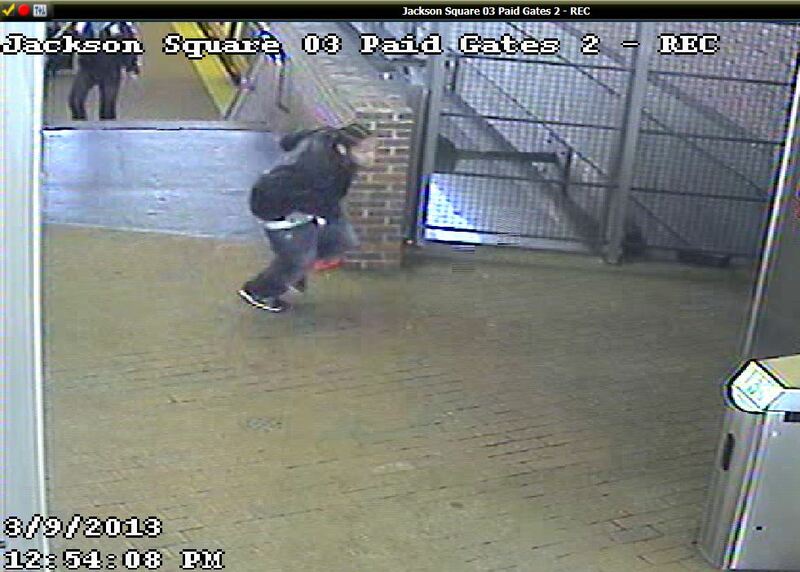 Further, the subject was wearing black sneakers with white soles and white markings or a white band.